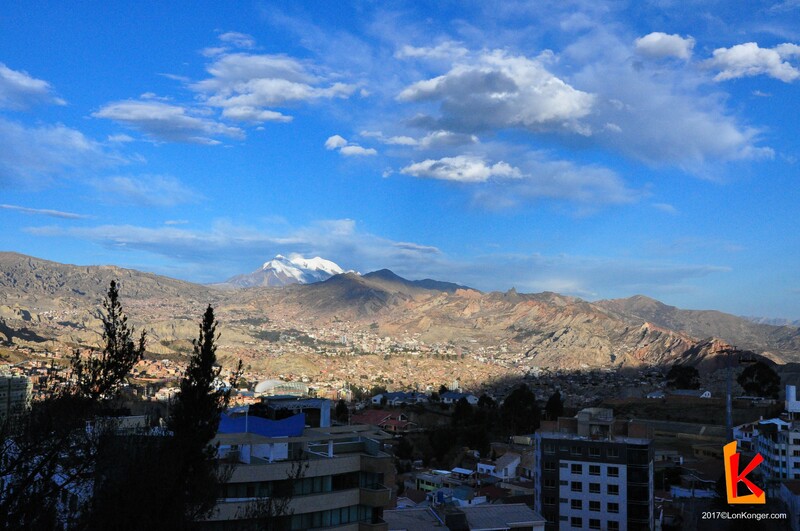 At a lofty 4000m above sea level, La Paz is the sprawling capital of Bolivia. 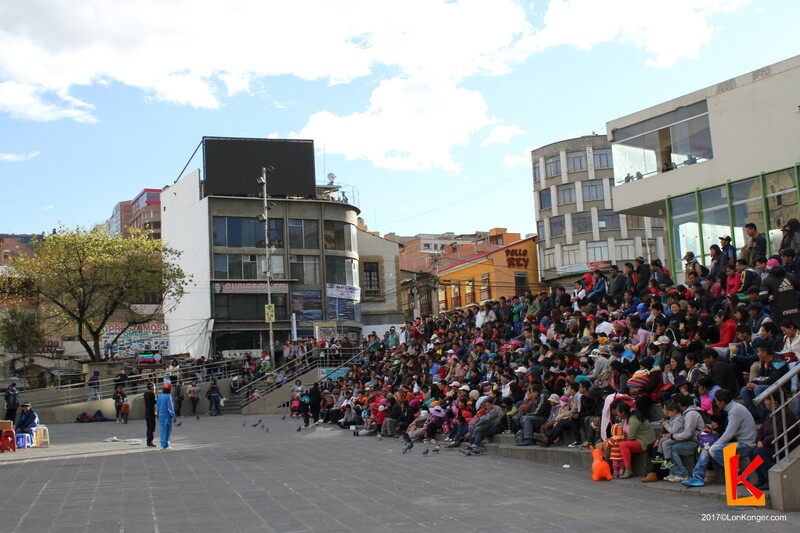 While the city of La Paz historically only comprised the valley region, unbridled population growth has merged it with the satellite city of El Alto, forming a hybridised and immense metropolis. 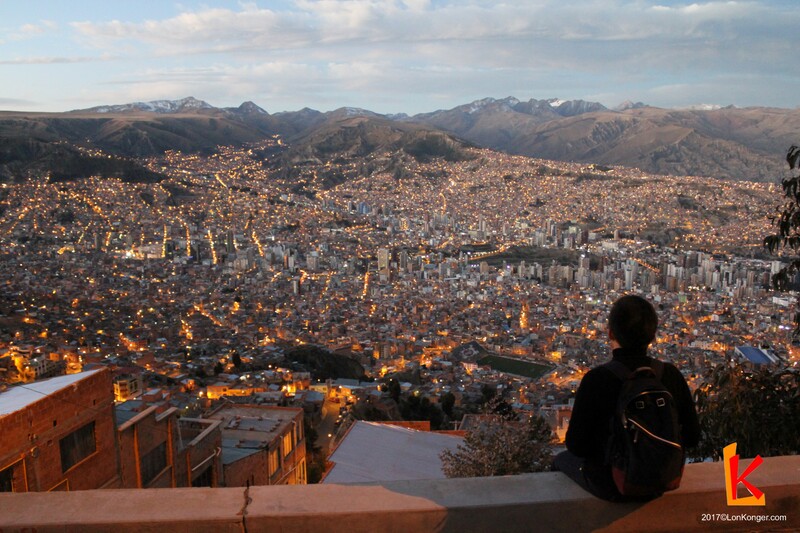 Tucked into a cleft between the Andes, La Paz’s social strata is reflected in its geographical stratification; the lower into the valley one goes, the wealthier the neighbourhoods become. 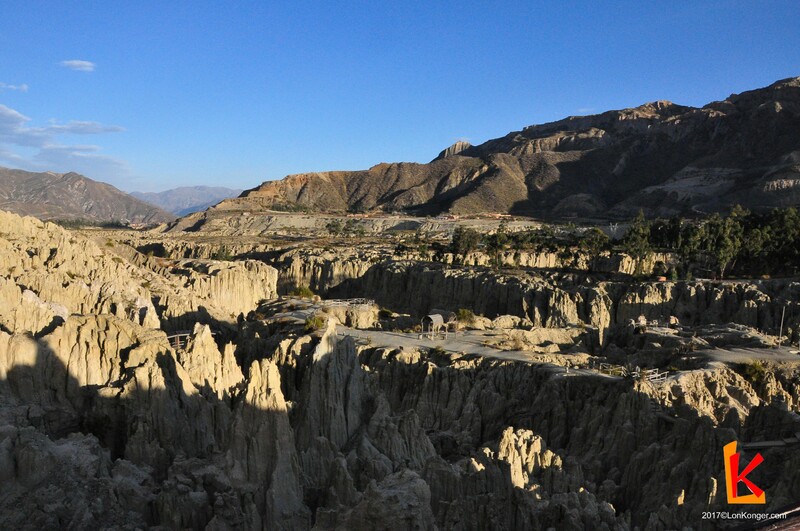 The slopes surrounding La Paz are dotted by winding roads and makeshift houses, cascading down towards the business district. 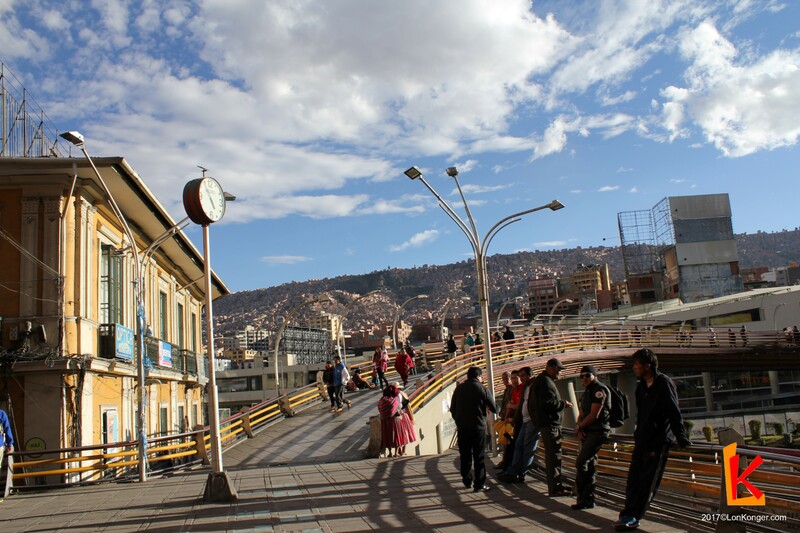 The entirety of La Paz, as viewed from El Alto near the Ciudad Satélite station of the yellow line of Mi Teleférico. La Paz is a city brimming with quirky peculiarities. The city’s zebra crossings are populated with energetic young people in full-body zebra costumes – whose purpose is to educate pedestrians and drivers on road safety – dancing and posturing their way through the city centre. Another particularity is that young boys who shine shoes in the city centre often wear balaclavas. Apparently shoe shining is so shameful that they will conceal their identities while on the job. 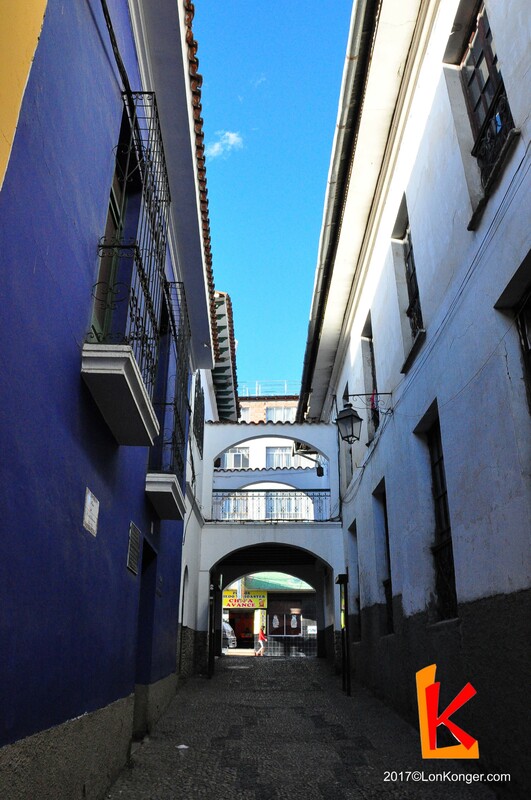 Calle Jaén, a quaint, cobblestoned street housing many museums and cafés. The tumultuous history of Bolivia may suggest that its capital is a hub of instability. It is in fact quite the opposite. La Paz is a fascinating mix of cultures that live together in harmony, a morass of indigenous Aymaran customs and colonial Spanish practices. 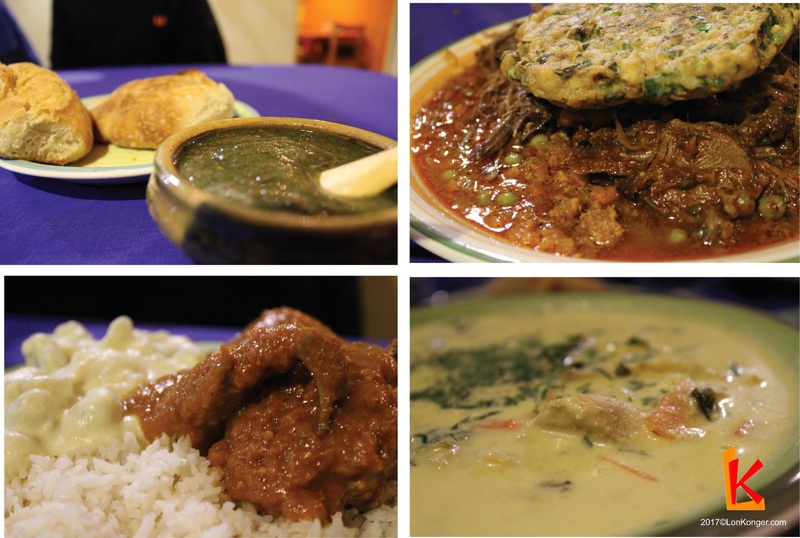 Amid the hustle and bustle of modern La Paz, the diverse flavours of these cultures are on show throughout the city. Valle de la Luna, located 10km west of La Paz and near the village of Mallasa, offers surreal views of an eroded mountainside. We arrived in La Paz from Uyuni in the evening. Having been weaned from civilisation for the past week, we relished visiting the first large city on our itinerary. The flight into El Alto was truly a sight to behold, with specks of incandescent light lining the valley. El Alto International Airport is among the highest in the world, and La Paz the world’s highest capital. Expensive hotels even go as far as to prepare oxygen tanks for poorly acclimatised guests. Exhausted from our earlier tour in Uyuni, we settled for an early night. 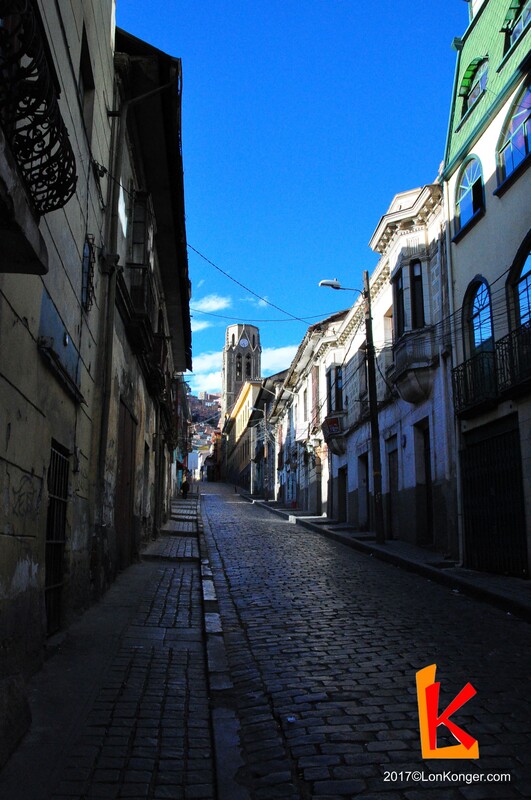 Because our accommodation was close to the city centre, we spent our first day in La Paz exploring the city on foot, soaking in the Bolivian atmosphere. Walking down the tree-lined city’s main thoroughfare, El Prado, we were struck by the change of scenery compared to our previous few days. 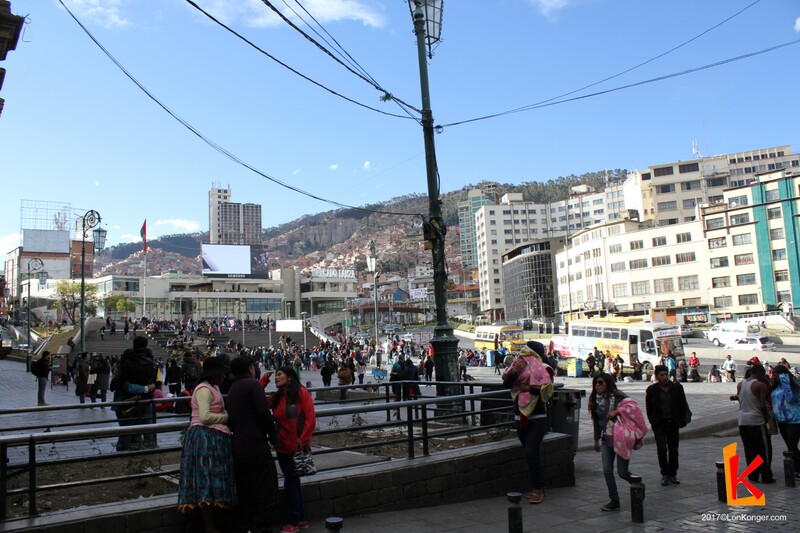 Like most large cities, the urban jungle that is La Paz is made up of branded shops, banks, and local fast-food joints. High-rise hotels seem to sprout erratically along El Prado. As we rubbed shoulders with mobs of pedestrians and street vendors, it did not escape us that La Paz is a city composed of diesel and dust. As the mirador was conveniently located near a teleférico station, we decided to experience the famous cable car system. We took the yellow line up to El Alto as the sun descended over the surrounding Andes. The cable cars, which opened in 2014, have become an integral part of public transport in La Paz. Consisting of four lines today, the Mi Teleférico (my cable car) has alleviated many of the environmental and traffic problems between the satellite city of El Alto and the city centre. 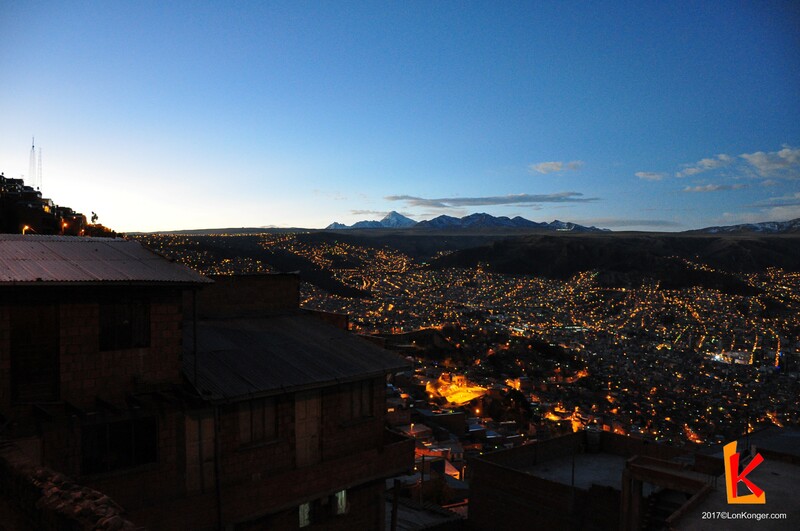 As we climbed the valley, reaching El Alto, we were greeted with a breathtaking view of night-time La Paz. 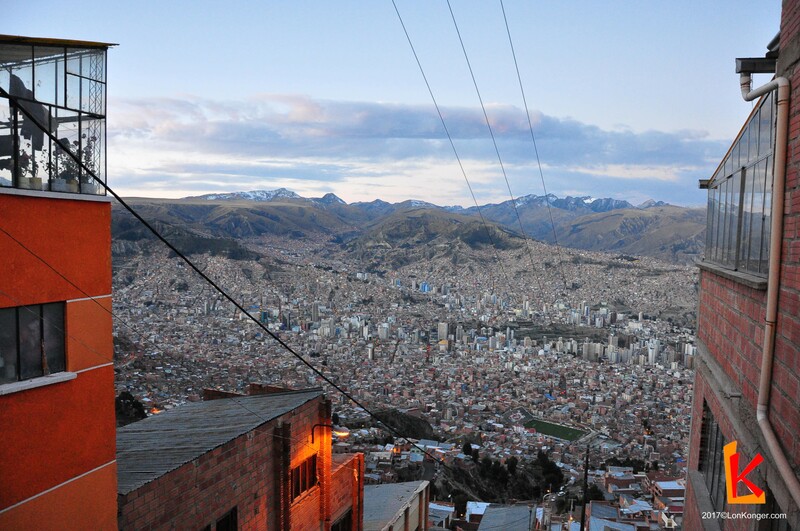 The city of El Alto hangs precipitously over the valley of La Paz. Against the backdrop of the snowy Andes, we sat speechless as tiny, densely-packed flecks of orange gradually emerged from the valley below.